Would you welcome "A Step-By-Step Guide to Crushing the Myth That If You Do Just One More Thing, You Will Finally Be Enough” to help you face your ins & outs, ups & downs, and general plan of attack as you enter 2019? On Tuesday January 22nd at 7:00pm, life coach Elizabeth Trinkaus, author of Enough Already! Yes, You Are, will be on hand at Bethel’s Byrd's Books to provide step-by-step tools to help you live in the powerful present. Byrd's Books is located at 178 Greenwood Avenue, adjacent to The Toy Room and the nearby landmarked Opera House, across the street from the Bethel Public Library. In her new book, Elizabeth offers real-life solutions for you to get who you really are... separate from what you have and do. Best of all, Enough Already! will have you living with more joy and satisfaction now, and will bring more creativity and inspiration to all your important dreams. If you’re looking for ‘Enough Already,’ grab a comfy seat by going to https://conta.cc/2CjB2oD For more information, go to byrdsbooks.com or call (203) 730 BYRD (2973). 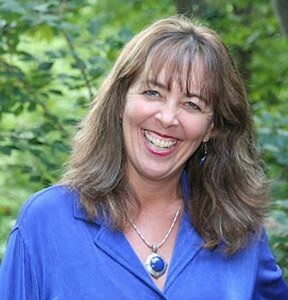 A resident of Chapel Hill, NC, Elizabeth Trinkaus is the owner of Pinnacle View, a life-enrichment company. She is a speaker, author, and coach who has been inspiring audiences around the globe for over 25 years. She is a certified trainer for the Canfield Success Principles, the Louise Hay Heal Your Life program, and her writing has been included in collections authored by Deepak Chopra and Stephen Covey. You can find out more about her at www.enough.rocks. Byrd’s Books is a general bookstore that carries only new titles, with a special focus on Connecticut authors, poets, publishers and illustrators. As a proud member of the American Bookseller’s Association and its division, Indiebound, Byrd’s Books participates in the larger community of bookselling nationwide, especially encouraging and promoting a vibrant network of independent bookstore. Byrd's Books features additional sections that include bestsellers, children's books, poetry, mystery, science and nature, and classics, as well as greeting cards, gifts, puzzles, and a large selection of discounted titles. Byrd's Books is open Tuesdays through Saturdays 10:00am to 6:00pm, Sundays 12:00 noon to 4:00pm. Byrd's Books' new location has on-street parking. Municipal parking is available at the Bethel Public Library across the street and the "Old Train Station" which is where Broken Symmetry now resides. There are private lots nearby.